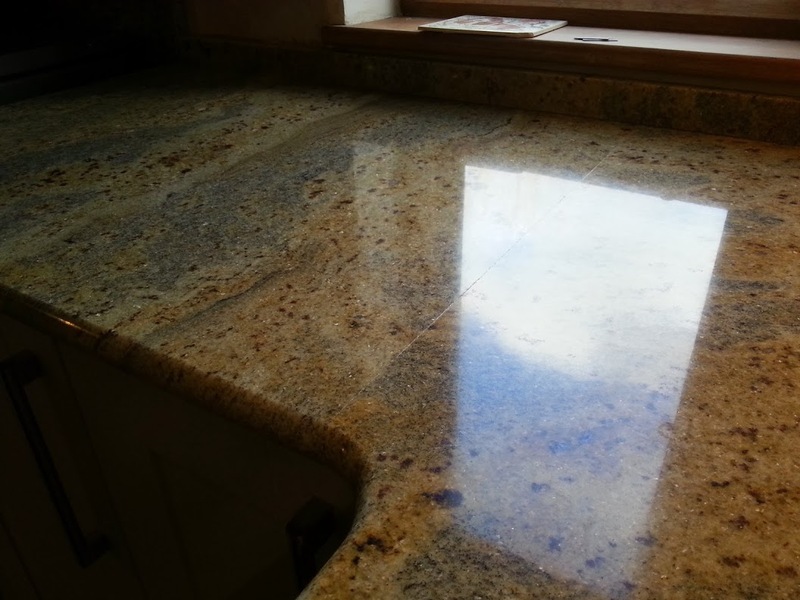 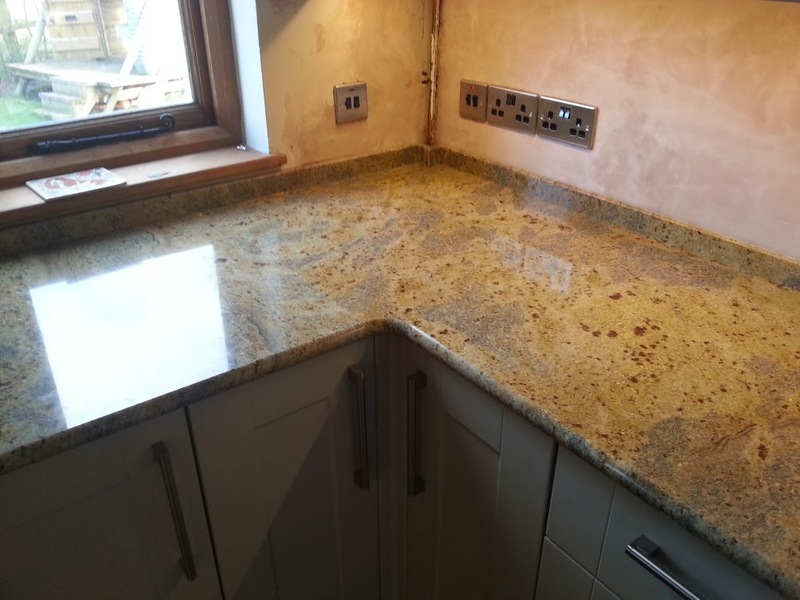 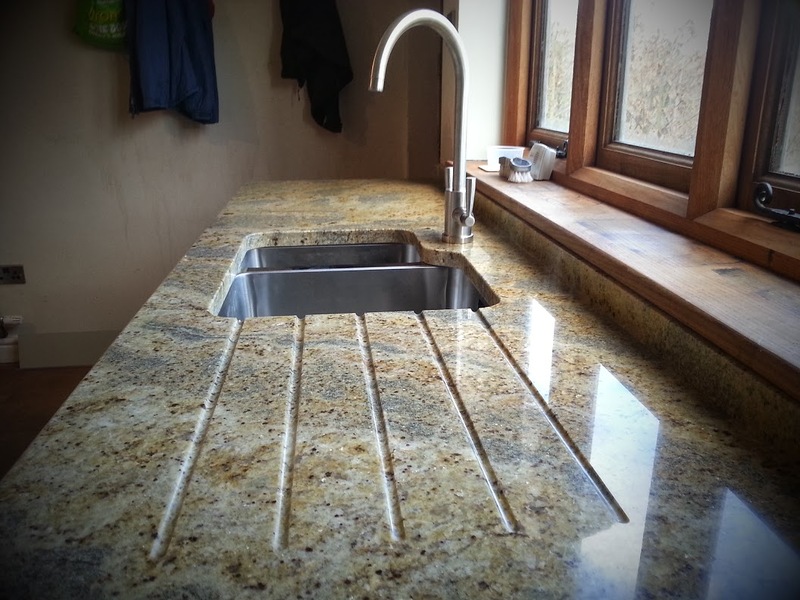 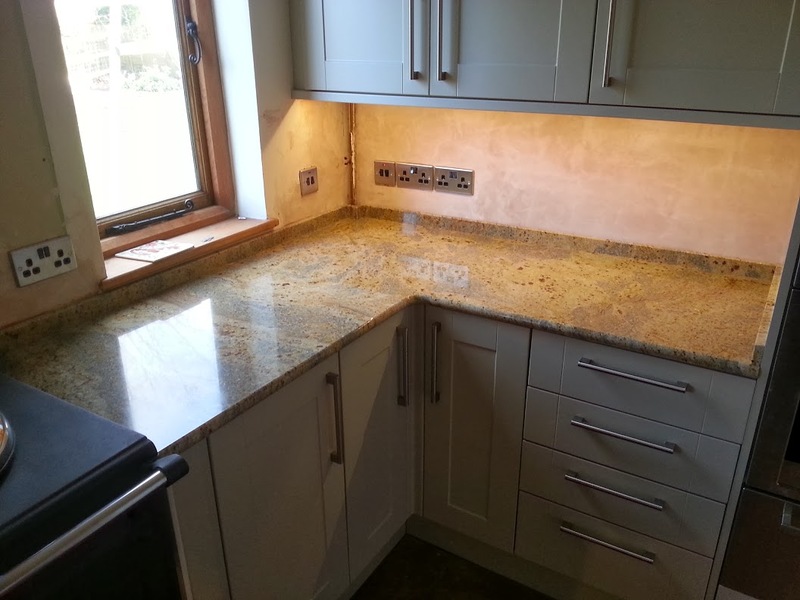 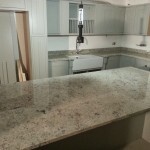 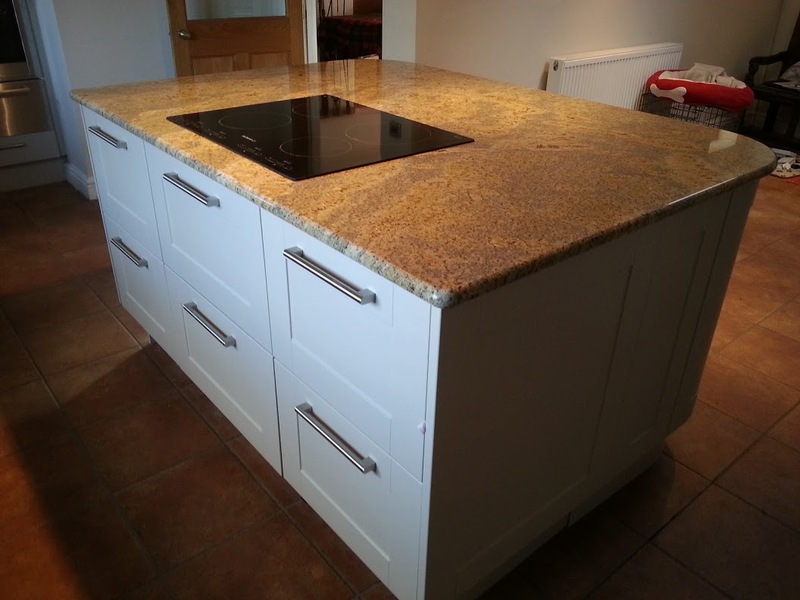 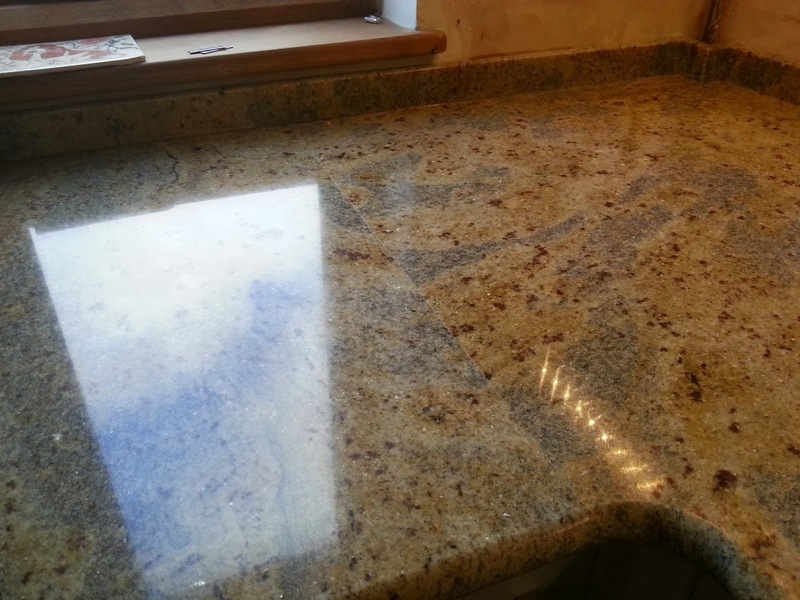 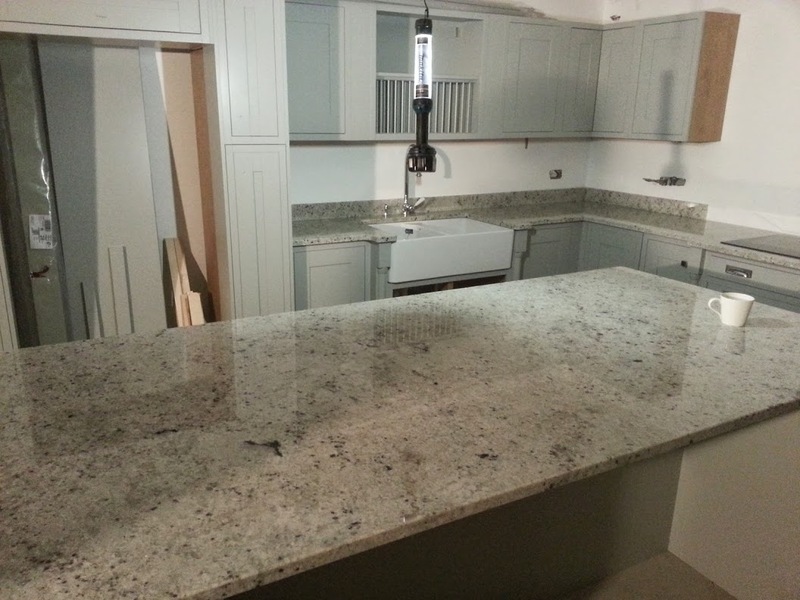 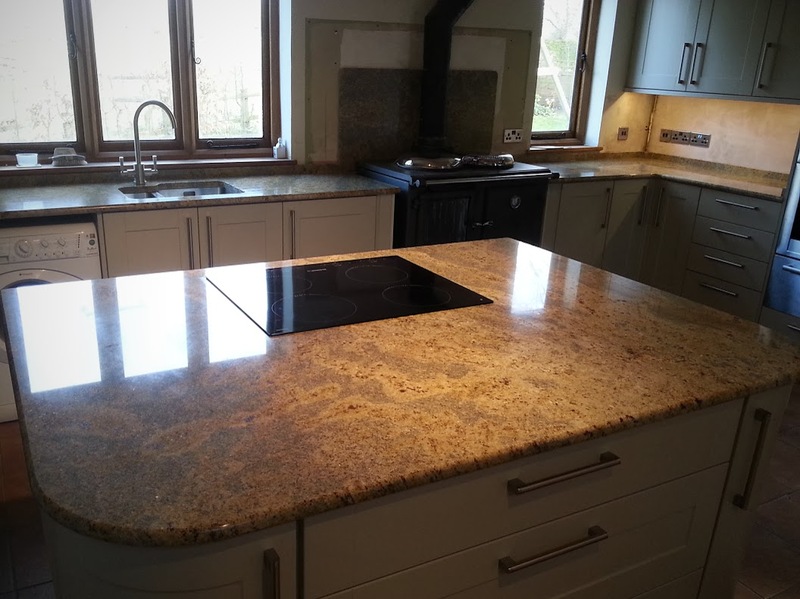 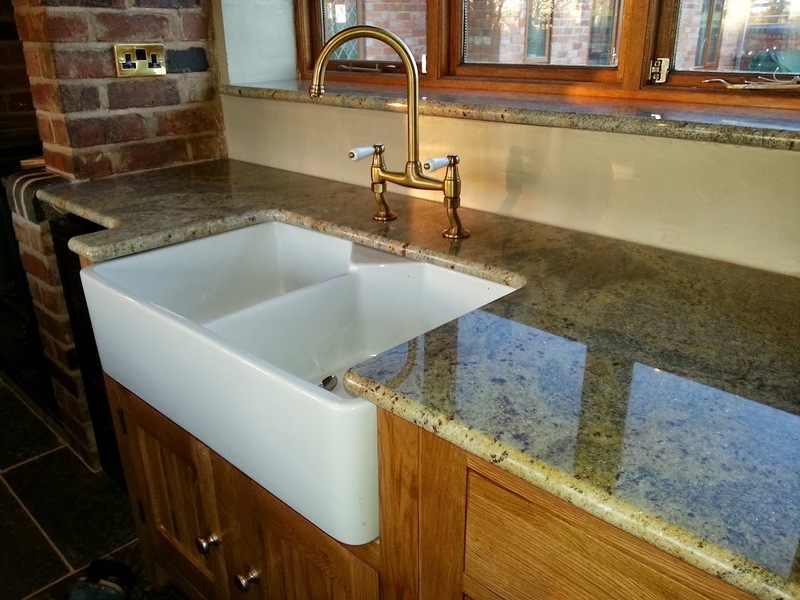 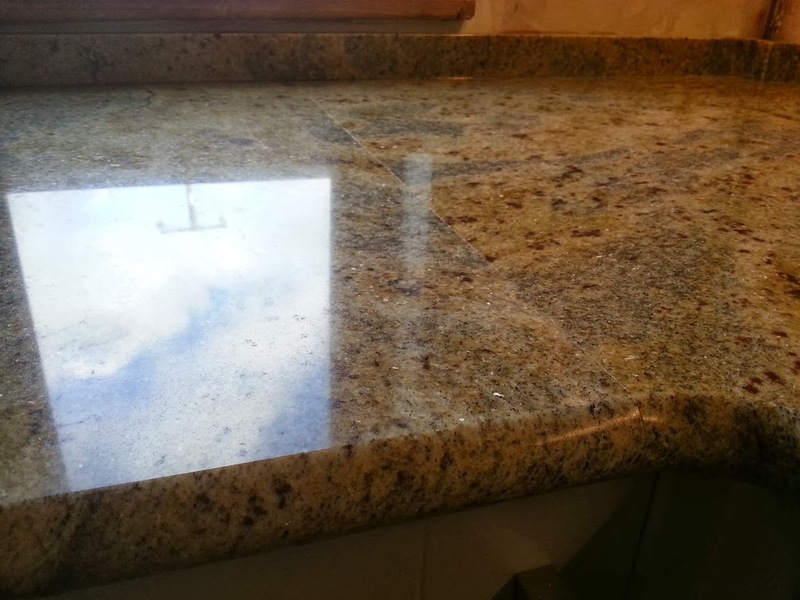 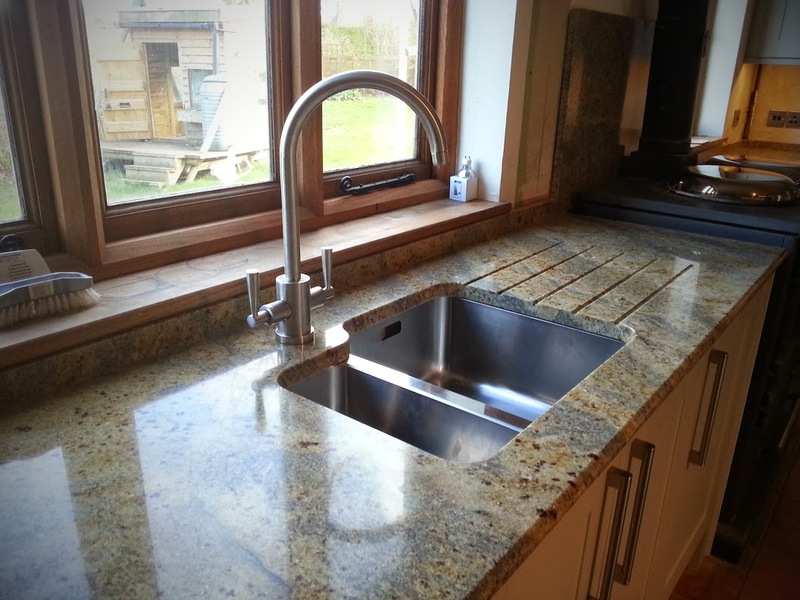 Kashmir Gold Granite Worktop and Island, Stratford-upon-Avon, Warwickshire - Contemporary Stone Ltd.
Another Kashmir gold granite worktop with bullnose profiling. 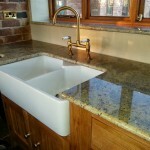 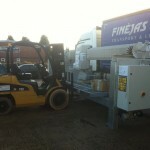 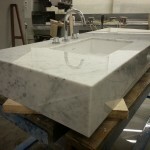 Features include curved cuts to suit the island units, back splash and drainer grooves. 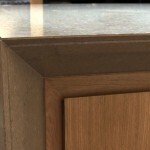 The greys in the material compliment the cabinetry colouring.